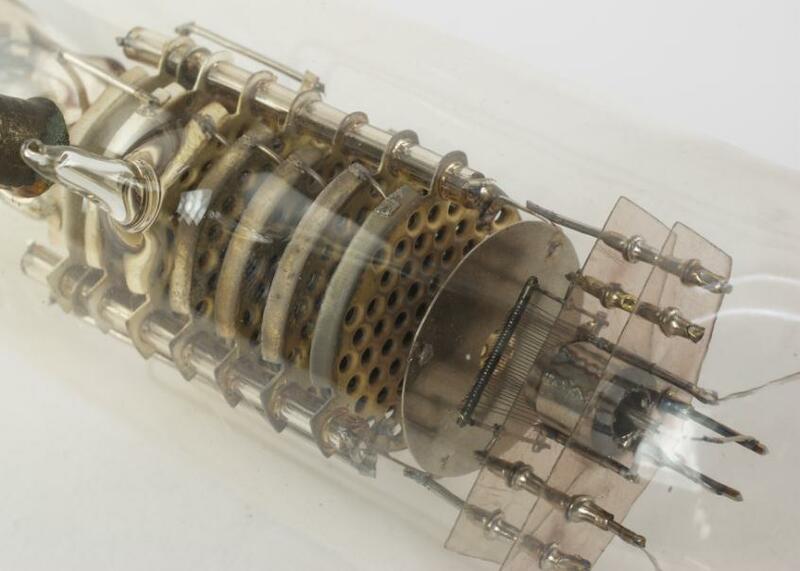 This six-stage Augetron was intended to be a high gain audio frequency amplifier. 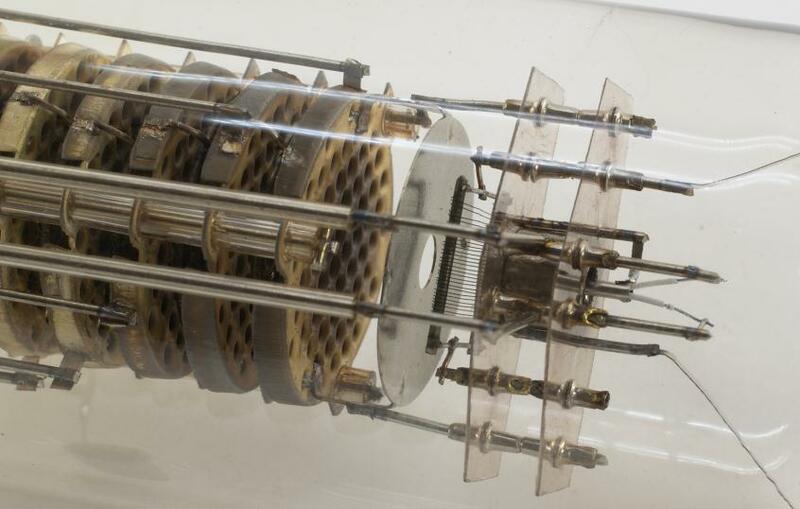 The Augetron has a triode section which consists of a cathode, a grid and an anode with a centre opening, this opening being directed towards another section, in which secondary emission stages are placed one behind the other. Diagram showing a five-stage Augetron multiplier. 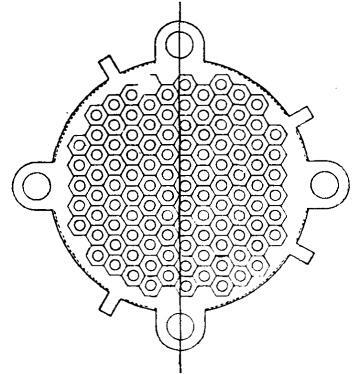 Secondary cathodes consist of nickel plates in which conical impressions have been formed. The diameter of each diminishes in the direction of travel of the electrons. This results in a complete inclined surface being presented to the main electron stream, thus giving a maximum possible collision efficiency. 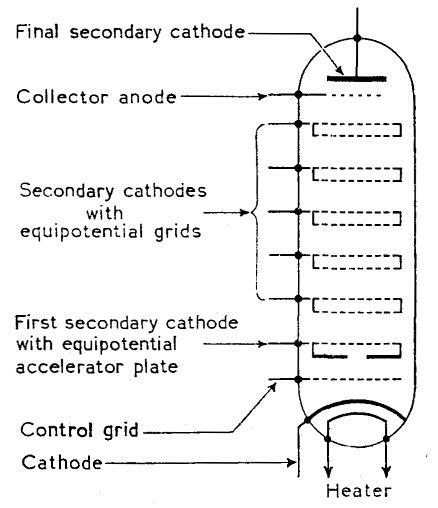 To make sure of this maximum, successive secondary cathodes are staggered; this is made possible by the construction of the secondary cathode plates. 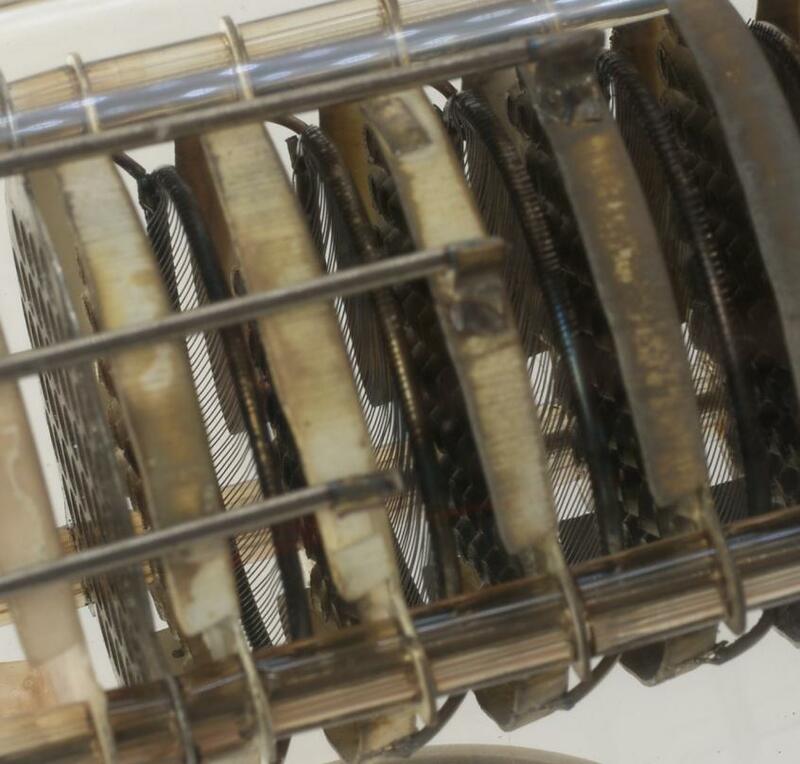 The lugs with which the cathodes are supported on insulating pillars are eccentrically disposed in relation to the holes, so that all that is necessary in order to obtain perfect staggering is to turn the secondary cathode plate 180° round with respect to the preceding one. 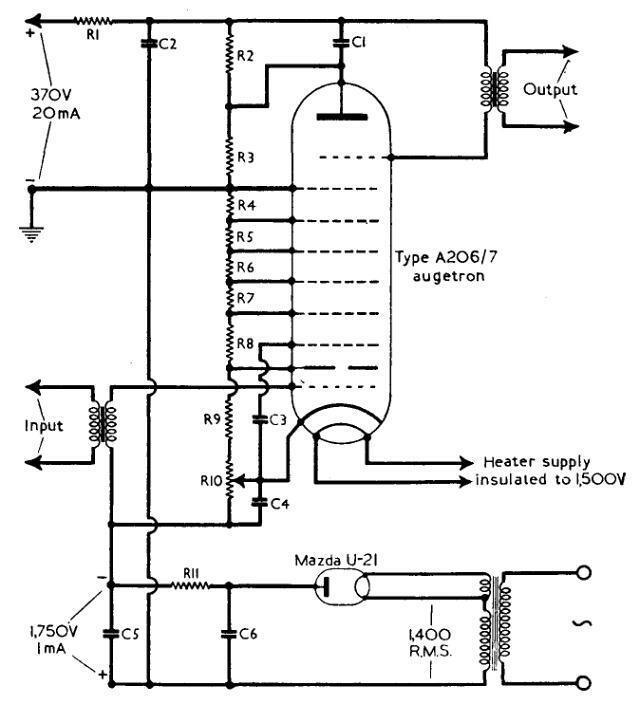 The Augetron secondary cathode. 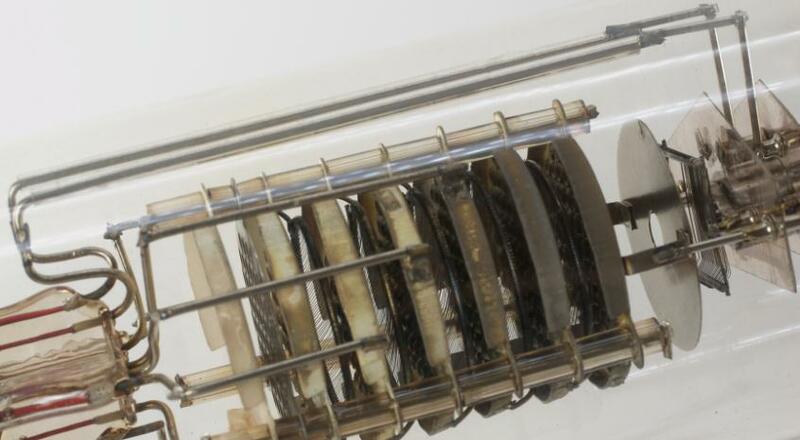 The perforations are off-set, as shown by the centre-line. Reference: Van den Bosch, F.J.G. The Augetron and its Applications. The British Institution of Radio Engineers, 1941.